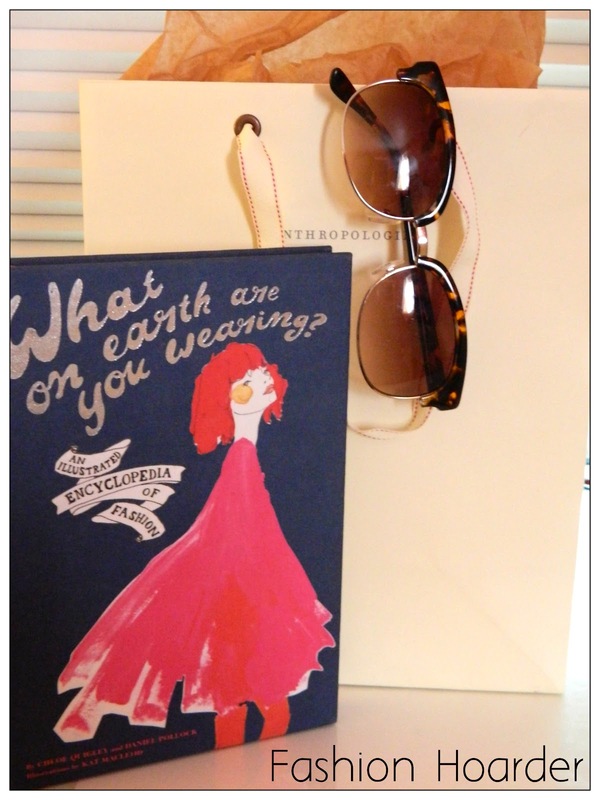 So last night after dinner, I decided to stop by one of my favorite stores, Anthropologie. What I found was a cute pair of sunnies to add to my collection. I also found this adorable book called What on Earth Are You Wearing? It is an "encyclopedia of fashion" from A to Z. Have any of you read this? If so, let me know. And if not, well... I suggest you check it out. Have an AMAZING weekend eveyone!